Take deep breaths, be organized and get that wok HOT. I never knew how lucky I was, growing up in a house with a wok. 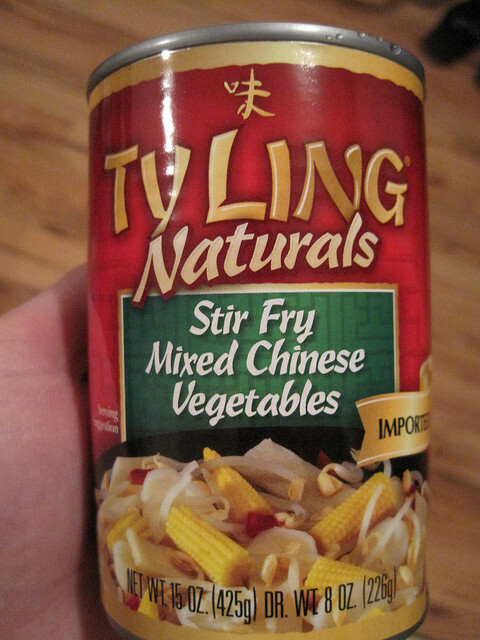 In our house, my dad was the stir fry master, with a seemingly preternatural sense of which ingredients should be tossed in when. Probably due to his life-long love of Chinese food, he always seemed to choose the best combinations of protein, vegetables, aromatics and sauce. Here is the real truth: once you get the basic principles of what-goes-in-when down, you can stir fry anything with nearly infallible success. It really is so simple once you get the hang of it, I can hardly believe not everyone stir fries in their own kitchens. First things first. To stir fry anything, you need one of these. Wok, this is everyone. Everyone, this is a wok. Here is the great thing about woks: they are inexpensive, light, durable and a 14-inch wok is capable of cooking nearly anything you ask it to. I like to use one with wooden handles, because I am clumsy and burn myself frequently. At the very least, you need something shaped approximately like a wok. The bowl-shape is important because it helps you control the heat as you cook. Things toward the bottom will cook faster and hotter than things around the edges. Here is the second-most important thing about stir frying: heat. Stir frying is a hot and fast method of cooking. Hot, because you want your vegetables to caramelize just a bit and fast, because you want to retain their crunch, color and nutrients. Home cooks are usually afraid to make the pan as hot as it needs to be because you're afraid you'll burn things. One home cook to another: you're never going to burn something you're paying attention to. BUT -- you're thinking -- how can I properly brown meat or tofu in a really hot wok without burning it, while also chopping the vegetables for this dish? The answer, my friends, is very simple. When you stir fry, you don't turn the fire on until every last ingredient is minced, sliced, chopped, marinated, and ready to be thrown in. Until you get the hang of it, I would even pre-mix the final sauce you'll season the dish with so all you have to do is pour it in at the end. You've heard us talk about mise en place before -- having all your ingredients prepped, organized and within arm's reach is crucial to great stir fry. What kinds of things should you pull together for your stir fry mise en place? We're so glad you asked. Let's see what you're working with. Yes! This is a great start. You cut that chicken up into bite-sized pieces, mince that garlic and chop your bok choy and we'll be in business. Yes! You are a pro! Aromatics on the right (garlic, ginger, scallions) are ready to pop into the hot oil first, everything else is within grabbing distance and you even poured yourself a cocktail! Yes! Simple, clean, ready to go. Plus we love mushrooms in stir fry. NO. STOP. DO NOT PASS GO. Heat your wok over medium-high heat, until a drop of water flicked into it evaporates immediately. THEN add your oil -- we love olive oil, but it is not for stir-frying. Use canola, peanut, or something else that tolerates high heat. Add your aromatics. Stir them around until they are fragrant. Add your meat or protein. Spread it around so that every piece is touching the wok surface and let it sizzle. Once browned well on one side, stir until cooked just through. Then, remove your protein to a separate bowl and let it hang out. Now you'll add your vegetables. Things like eggplant, broccoli, mushrooms, carrots, celery, baby corn and bamboo shoots that are a little heartier can go in first. Add things like bok choy, spinach, peppers and snow peas in a bit later, as they cook more quickly and you don't want to end up with mush. Return your protein to the pan once the vegetables are cooked through, pour in your sauce (we like a combination of a bit of soy sauce, a small amount of honey or cornstarch to thicken, some rice wine or black vinegar and Sriracha), stir to combine and cook until the sauce reaches your desired consistency. To see all of these tips in action, one after the other (and also get some tips on sauce combinations) check out the amazing CHOW video below. Above all, take deep breaths, be organized and don't be afraid to try new combinations of flavors. Great stir fry, here we come.